Four wonderful museums. One amazing destination. 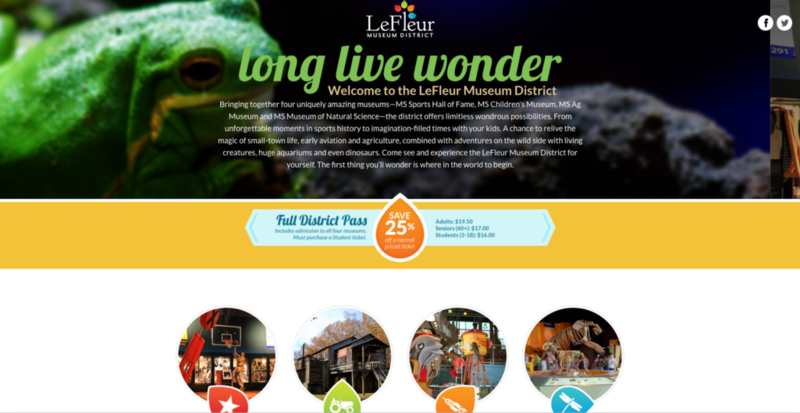 LeFleur Museum District was searching for a way to bring together four distinct museums with four different missions, four different products, and four different leadership teams into one cohesively branded destination. Because time is money, MWB created the brand and campaign elements quickly without any major changes needed by the museums. Imagine that!